Windy. Cloudy skies will become partly cloudy this afternoon. A stray shower or thunderstorm is possible. High around 60F. Winds N at 20 to 30 mph, becoming ESE and decreasing to 10 to 15 mph..
A few clouds. A stray shower or thunderstorm is possible. Low 38F. Winds SE at 10 to 15 mph. 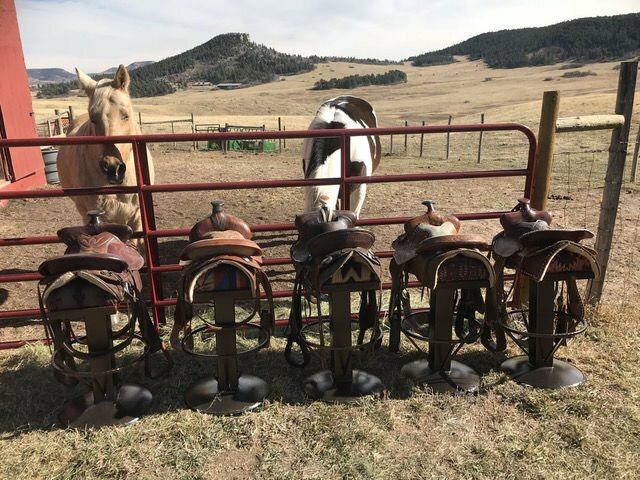 Saddle Barstools by The Antique Garage of Larkspur is a featured vendor at the Tri-Lakes Women’s Club’s “Spring into Vintage” show on April 27 and 28. 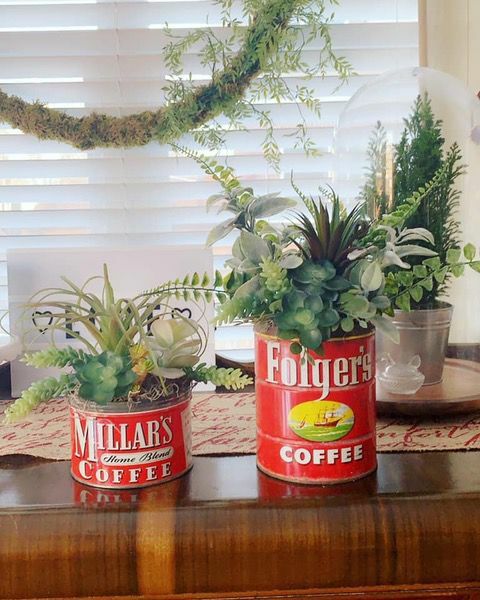 Furnished LLC, a business run by “experienced floral designers expanding our love of design and vintage to create beautiful found and repurposed treasures for the home,” will man a booth at the Tri-Lakes Women’s Club’s “Spring Into Vintage” show. The Tri-Lakes Women’s Club will host more than 100 vendors at their 43rd annual fundraising show this month, featuring vintage home décor, clothing, jewelry and more. “Spring Into Vintage” is the theme of this year’s show, which is set for April 27 and 28 at Lewis-Palmer High School, 1300 Higby Road, in Monument. Food trucks and other refreshments will be available to satiate appetites. Spokesperson Janice Dahl said many people purchase an admission ticket just to visit the show’s homemade bake sale. Dahl said the baked goods taste “amazing” and they are presented “on beautiful china, it’s gorgeous.” Gluten-free options are available. Since 1977, the club’s historic membership requirements have included donating homemade baked goods for events, but there is also an option for members to contribute money. This year, the group will reach $1 million donated to various community groups. 2018 grant award recipients included the Monument Police Department, Palmer Lake Fire Department, Tri-Lakes Silver Alliance, Tri-Lakes Cares, Pikes Peak Hospice and Palliative Care, District 38 Adaptive PE and the Palmer Lake Educational Garden. The club’s mission is “to support the Tri-Lakes community through charitable and educational endeavors by raising and distributing funds to assist qualified organizations; and promoting the education of its members and the community through instructional programs,” according to its website, tlwc.net. Dahl said the group values helping local women meet and encourage each other. “The way that a lot of the homes are situated (in the Tri-Lakes area), it’s easy to get disconnected,” she said, which makes meeting other neighbors challenging, but that much more important. Dahl said the connections made through the Women’s Club can become lifelong friendships. In preparation for the event, members of the Women’s Club reached out to recruit “like-minded stores and shops,” online via specialty sites, through social media and with post cards taken by hand up and down the front range, and in Idaho and Wyoming. All vendor slots filled, and Dahl said in the past few years, the show has started to sell out on Saturday. Other show offerings include photography, candles and various art pieces, including those made with beads and repurposed materials. Two local nonprofit car clubs, the Tri-lakes Cruisers of Monument and the Studebaker Drivers’ Club of the Pikes Peak Region, will join the women this year to provide entertaining displays. Dahl said their will also be kids’ activities, like a cakewalk, in the afternoons of both days. The show is open from 10 a.m. to 5 p.m. April 27 and 11 a.m. to 3 p.m. April 28. Tickets are $6 at the door. There will be a canned food drive to benefit Tri-Lakes Cares.